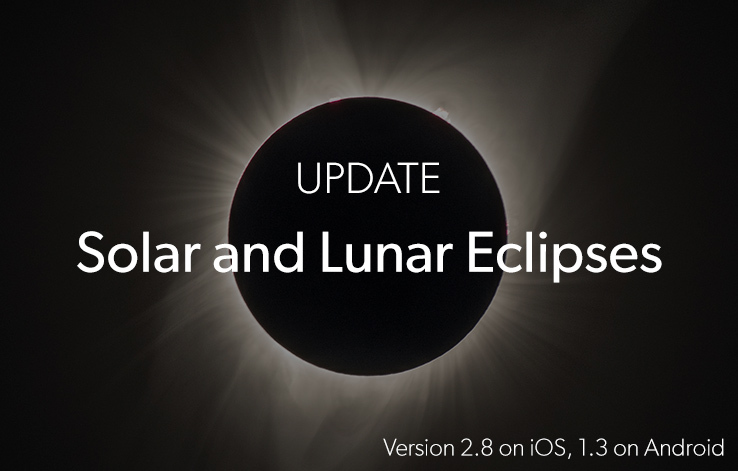 Note: Tap here to learn how to update PhotoPills on iOS & Android. Tap on the Map Settings button (on the map, at the bottom right hand corner, next to the “+” button). Then tap on the NEW Map tool option and choose what you wish to see on the map: the Field of View (FoV) or the Depth of Field (DoF). And start planning every detail! Let’s see a few examples. Once you’ve planned the shooting spot and shooting date and time… The Field of View map tool allows you to visualize (on the map) what part of the scene will be captured in the frame. The part that won’t be captured is covered by a dark layer. Select your camera. The crop factor will be taken into account in the calculations. Set the focal length. Here you can choose to set the nominal value or the 35mm equivalent. Add a teleconverter. And even lock the focal length value. Use this option when you don’t want to change the field of view directly from the map. Set the focus distance. Introduce a custom distance or choose to focus at the Black Pin. Set the shooting orientation, landscape or portrait. Set the azimuth. This is the direction you’re aiming the camera (the shooting direction). Introduce a custom azimuth or choose to align it with the Black Pin. See the Field of View numbers. Tap the last button of the settings box to see the field of view represented on a picture. Also, you can change the field of view directly on the map by dragging the two black circles that you see on the two field of view lines. This will help you to quickly assess the focal length you need. And to change the shooting direction on the map, drag the black circle you see on the field of view central line. PhotoPills Planner - Set your camera and camera settings to see the field of view on the map. PhotoPills Planner - Close up of the field of view and focus distance. Notice that the blue azimuth line of the Moon shows the size of the Moon. 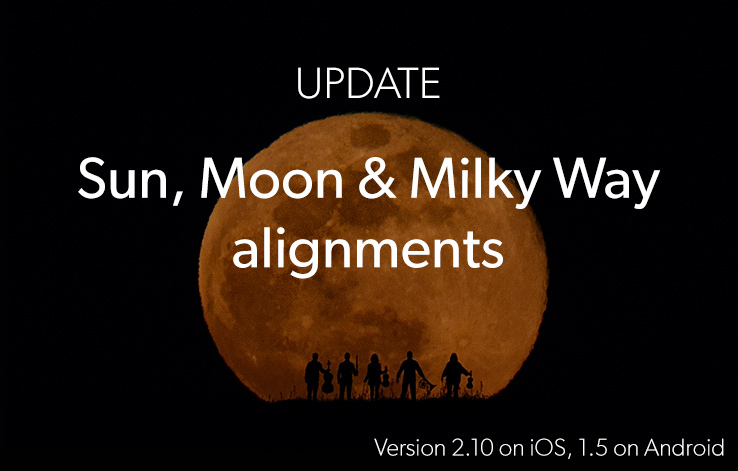 You can enable this option from Map Settings button > Map Layers > Moon > Show Moon Size. Let’s see the example above. Have a look at the screenshots. They show you the Plan of a photo for the February 19th 2019 Supermoon over the Statue of Liberty in New York. You can become a Moon master with this guide: 7 Tips to Make the Next Supermoon Shine in your Photos. The Red Pin is the shooting spot. The Black Pin is the Statue of Liberty. I’m using a Fujifilm X-T2 (crop factor 1.5) and a focal length of 500mm, focusing at the monument (2.2km), shooting in portrait and aiming where the Black pin is. The field of view and focus distance are represented on the map. On the second screenshot you have a better view of both, the field of view and the focus distance on the map. What I love about the DoF map tool is that allows to visualize (on the map) both the depth of field and the field of view info. This is the DoF info you’ll see on the map: dof near limit (gray arch), dof far limit (gray arch), focus distance (red arch) and hyperfocal distance (blue arch). Set the focus distance. Introduce a custom distance or choose to focus at the Black Pin or the hyperfocal distance. Set the azimuth. This is the direction you’re aiming the camera (the shooting direction). Introduce a custome azimuth or choose to align it with the Black Pin. See the Depth of field numbers. Tap the last button of the settings box to see the depth of field numbers on a table. And to change the shooting direction, drag the black circle you see on the field of view central line. PhotoPills Planner - Set your camera and camera settings to see the depth of field and the field of view on the map. PhotoPills Planner - Close up of the focus distance (8m), hyperfocal distance (6.81m), DoF near limit (3.68m) and DoF far limit (infinity), placed just above the Google logo. Again, let’s see an example. Have a look at the screenshots above. They show you the Plan of a beautiful diagonal of the Milky Way over the lighthouse of Favàritx (in Menorca) for April 6 2019 at 3:46am. You can learn how to imagine, plan and shoot the Milky Way wiht our article: How to Shoot Truly Contagious Milky Way Pictures. The Red Pin is the shooting spot. The Black Pin is placed on my subject, the lighthouse. I’m planning to shoot with the Nikon D4s (full frame) and a focal length of 24mm at f/2.8, focusing at 8m, a bit further from the hyperfocal distance (6.81m), shooting in landscape and aiming slightly south from the lighthouse. 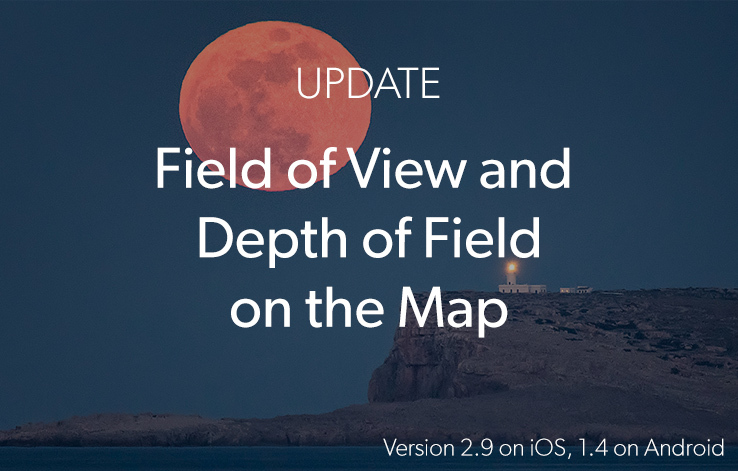 The depth of field, field of view and focus distance are represented on the map. On the second screenshot you have a better view the DoF near limit, the focus distance and the hyperfocal distance. Notice that I’m focusing at 8m, slightly over the hyperfocal distance. This allows me to keep the DoF far limit at infinity and the DoF near limit close enough to the camera (3.68m). I hope these tool helps you get a better understanding of how depth of field changes as you change your settings. If you wish to learn more about depth of field, don’t miss our guide: The Ultimate Photography Guide to Depth of Field. Don’t try to plan your photos with all the tools visible on the map. First, find your shooting spot and shooting date and time the scene you imagine occurs. And second, plan the camera settings that give you the field of view and depth of field you need. Use one tool after the other. 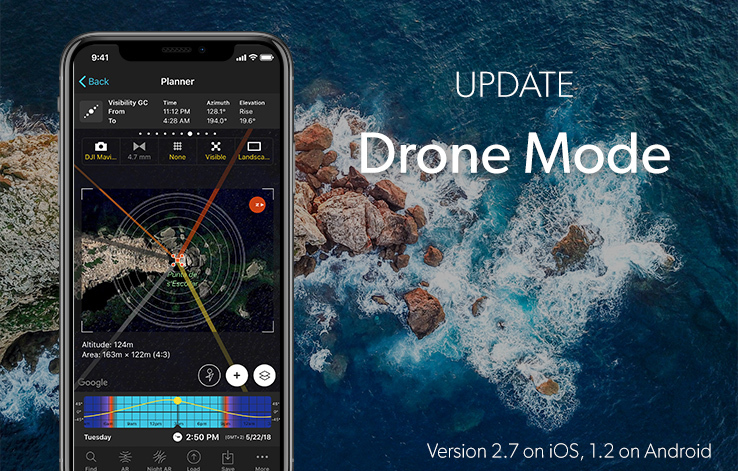 Update PhotoPills Now and Start Planning Your Drone Shots with the New Drone Planning Mode and Much More!